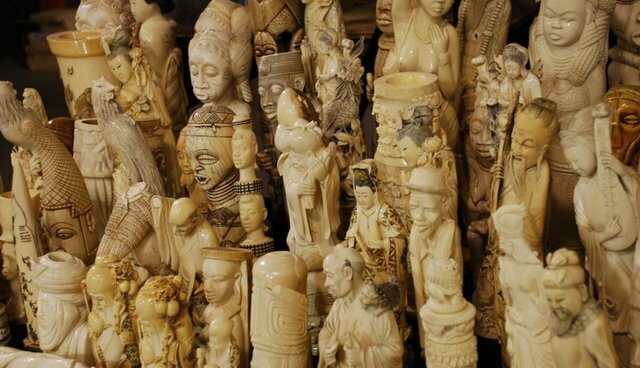 After conservationists called on Antiques Roadshow to stop appraising ivory and supporting the international ivory trade, the show has agreed, announcing that it will no longer appraise tusks. The TV series, which features a variety of items brought in for professional assessment, won't show ivory appraisals in any future episodes, says PBS. Conservationists have already applauded the decision, including the Wildlife Conservation Society (WCS), which led the campaign. "On behalf of WCS and all of the 96 Elephants campaign partners, we commend Antiques Roadshow on their decision to cease appraisals of ivory tusks," said John Calvelli, Wildlife Conservation Society Executive Vice President of Public Affairs and Director of WCS's 96 Elephants Campaign. "It is vital to the survival of this iconic species that we limit the demand of ivory products. These policies are an important step in assuring these items are not glorified on-air and the assumed monetary value is not a factor. We look forward to working with Antiques Roadshow in the coming months." PBS said that the show will continue to appraise antique items that include ivory elements like musical instruments, which it said will serve to inform viewers about "the larger issues at hand." It's not a moment too soon -- Scientists estimate elephant numbers have dropped by 76 percent, with an estimated 35,000 slaughtered by poachers in 2012 alone.